Almost every major metropolis around has its own piece of India, a ‘Little India’ which is home to its local Indian community. Malaysia’s capital Kuala Lumpur is no different. In fact, the city has two major concentrations of Indian populations, the area of Jalan Masjid India located near the city center of Kuala Lumpur and the area of Brickfields located a short distance away from the city center. There is a lot of history associated with Brickfields, as it was one of the first Indian enclaves in Kuala Lumpur. It is believed that the area was so named, for it once hosted a clay pit where bricks were made. Today, apart from its many Indian temples, restaurants and stores, the area is also home to KL’s major transport hub, the KL Sentral station, the main railway station in Kuala Lumpur and one of the largest railway stations in Southeast Asia. 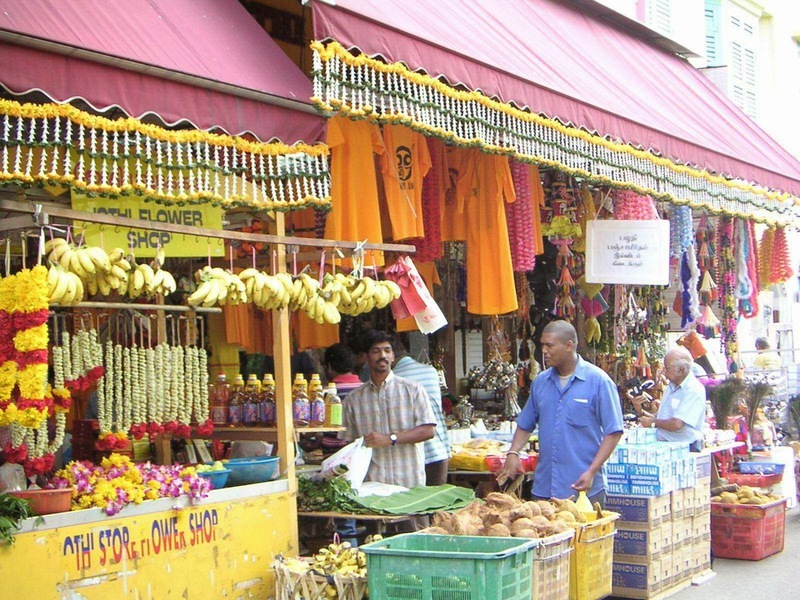 The main street in Brickfields, Jalan Tun Sambathan is a riot of colors and sounds dotted as it is with many Indian grocery stores, Indian sari and jewelry stores as well as stores selling popular Bollywood and other regional Indian movies and music. The many Indian restaurants of Brickfields serve a plethora of Indian eats like samosas, vadai, gulab jamun, mango lasssi and the famed banana leaf meals which hail from Southern India and which in Brickfields often feature non-vegetarian curries quite unlike back home where these meals are generally vegetarian. 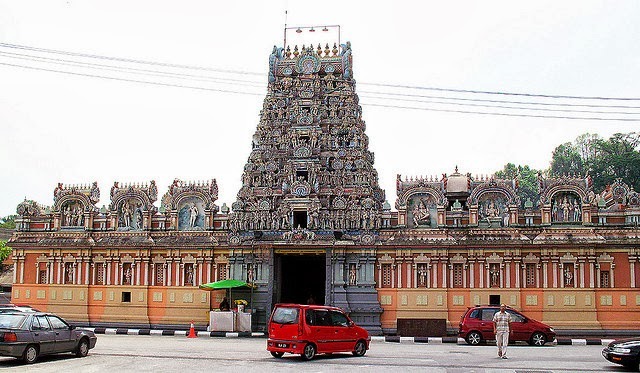 Aside from various stores, the area also hosts a few prominent religious sights like the Sri Kandaswamy Hindu Temple located on Jalan Scott and the Three Teachings Chinese Temple on Jalan Thambipillay. KL’s famed Theon Hou Temple; one of the largest Buddhist temples in Asia is also located close by and is worth visiting if you decide to undertake an exploration of Kuala Lumpur’s Little India. Brickfields is especially vibrant during the weeks running up to the annual festival of lights, Deepavali for its main street Jalan Tun Sambanthan is transformed into a lively street market populated with vendors of festive apparel, flowers, festival décor, henna tattoos and more. Brickfields is easily accessible by various modes of KL’s public transport taxis, the Monorail (KL Sentral stop), the LRT Komuter and the KLIA express and other trains. Want to learn how Indians in Malaysia live? Make sure you include a trip to Brickfields on your next trip to KL.